Clip Art is ready-to-use artwork that can be used in web pages or other publications (note: legal terms and conditions may apply to how particular clip art graphics are used or distributed). Clip Art can be either vector or bitmaps, and includes both illustrations and such as horizontal lines, bullets and textual elements. If publishing web online, Clip Art does not need to be very high resolution as most screen displays are not high resolution. 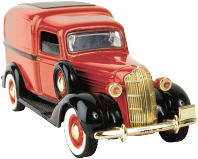 If publishing printed materials, high resolution Clip Art is generally required, because of the higher resolutions that are typical in printing. Using low resolution Clip Art with printed materials, can result in visible jaggies. In a moment, I will show you some example Clip Art graphics, but please note: You do NOT have permission to save or download these graphics. 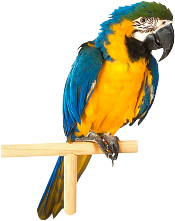 We can use these Clip Arts on our web pages, only because we have purchased these Clip Art packages. If you want to use Clip Arts from these packages, you must purchase your own copy of the package. Here are some example bitmap Clip Art graphics from Hemera's Photo-Objects 50,000 Premium Image Collection† (in my opinion, an excellent package for web designers - as the name implies, this package contains a variety of photo objects). To save screen space in this demo, I am displaying these images at about 1/9th of the original size that they are in the package. 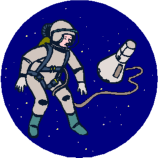 Anyway, these particular clip arts all started out as vector clip art (though the package does include bitmap clip art too) in WMF format, but I've converted them to PNGs (at about one quarter of the original size) so that you can see them on this web page. Another clipart package that I've found is really good value is Nova Development's Art Explosion 800,000. When I bought this, it came with 34 CD-ROMs (I understand new version is 5 DVDs? 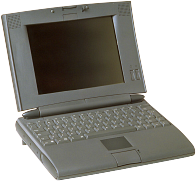 ), and included tons of bitmap and vector clip art, and all sorts of other stuff too. I won't say that I found every image is useful - I thought the the quality and usefulness of the images was somewhat variable - but I did find enough good stuff in there for it to be worth my while, and good value for money for me. One weakness of this package is there is no keyword search, however, the contents are extremely well organised, so finding stuff was actually pretty easy. My copy of the software came with a big fat printed book of all the clip arts (which was included in the box), and I found very useful - but judging by the user reviews posted on Amazon.com, I get the impression that this book may not be included with the product any more. The Ninja Graphics Kit is designed to be the best marketing graphics package ever for internet marketers, and consists of 36 modules of ultra high-converting graphics, templates, and design elements. Although the author recommends Photoshop, he says it is not required, and you "can get away with using and editing 90% of the graphics in this package without Photoshop". The World's Best Internet Marketing Graphics Collection. The Largest Professional Graphics Collection Available. Package Contains Jpg, Gif, And Psd Files For Each Graphic. No Design Skills Required. Best Graphics Tools For One Crazy Low Price. A Killer Web 2.0 Graphics Package! The Most Bargain Graphics Collection On The Internet. 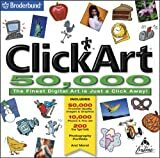 Expand your image library as well as your imagination with ClickArt 50,000. 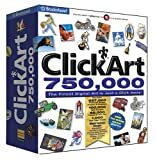 Whether you create projects for work, for school, or just for fun, ClickArt 50,000 is a must-have in any design software library. Enrich all your projects with this set's 50,000 premium graphics, fine art works, photos, and other elements. Built-in image editing tools make ClickArt 50,000 complete, affordable, and creative software. Ideal for greeting cards, banners, calendars, signs, labels, newsletters, and other projects, ClickArt 50,000 helps you find the ideal graphic accent to enrich every design, from exciting photos to any of 200 eye-catching TrueType fonts. Use the advanced drawing tools and a built-in photo workshop to fine-tune images to meet your needs. The software is compatible with all of your favorite Broderbund print programs--including The Print Shop, PrintMaster, American Greetings CreataCard, Calendar Creator, and Family Tree Maker--as well as other popular desktop-publishing applications. ClickArt 750,000 has good search capabilities. The left-hand navigation bar allows you to select the type of image that you want, then you select the type of graphic and then you can enter a keyword for a more specific search. You can also search through all the images at once. Advanced search options even allow you to search by tone-such as humorous, sentimental, traditional, contemporary, or spiritually-themed clip art. You can create your own favorites file in the program to store clip art images that you frequently access.